Yesterday I baked a batch of Milk and Honey rolls. They tasted super good. It is really helpful to have such baked goodies at home. Kids love it. Nice accompaniment to a cup of tea as well. I have used equivalent quantity of all purpose flour and the whole wheat flour. Honey imparts a beautiful flavour along with the sweetness. The dough feels a little hard while kneading so keep adding a little warm milk till you get the dough with the desired smoothness and suppleness. Mix the flours, salt and yeast. Add honey to warm milk. Add honey milk mixture to the flour mixture and knead for 6 to 8 minutes. The dough feels hard while kneading. Add warm milk and knead for another five minutes. 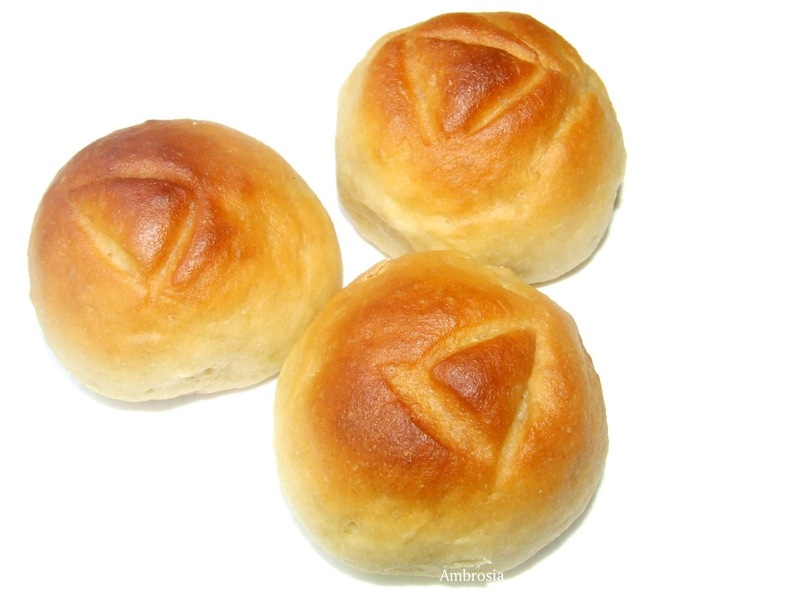 The dough should become soft, smooth and pliant. Cover and let it rest for twenty minutes. Knead again for five minutes. 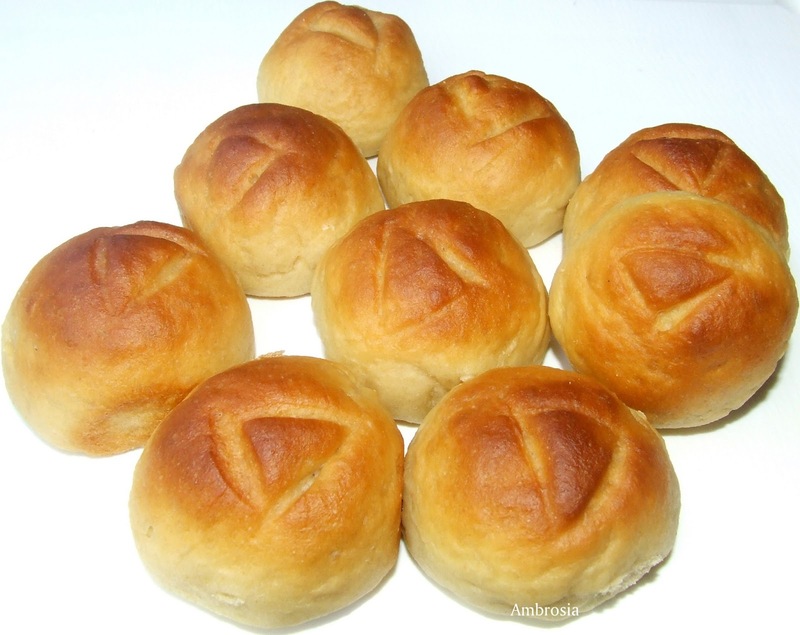 Shape the rolls and scour them with a sharp knife. Place them in the greased baking tray or a large cake tin. Cover and let it rise for 1 ½ hours or till doubled in size. Bake in a pre heated oven at 180 C degrees for 20 minutes. Rolls looks so pretty! Love one with strawberry jam! They sound so soft and comforting.